Loved the pool and the space in the villa, host was helpful and flexed departure time for us. The welcome pack of food and drink was very kind and very useful. Love the villa - all the equipment needed with beautiful views and great facilities. 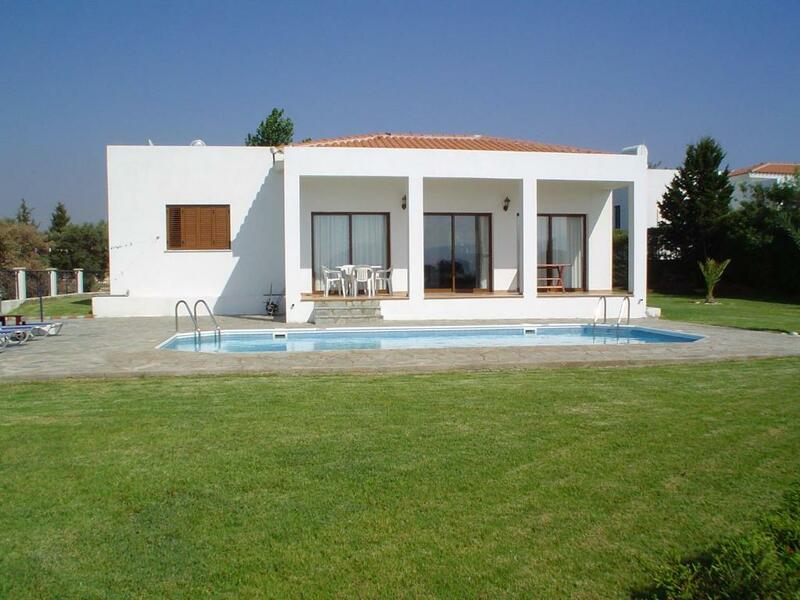 Location is perfect too - close to Latchi and Polis and also the lovely beaches of the Akamas and Argaka area. We stayed in the very spacious villa Chris which had wonderful sea and mountain views. Chris the owner was very helpful. Accommodation was spotlessly clean, bright and comfortable. We will be back for certain..
Lovely villa and beautiful location and views. Great facilities and pool. Near latchi and Polis for shops and restaurants. Loved our stay. Excellent location. Villa equipped with all necessities for a family. The owner provided everything we needed. Great views, great property, peaceful location which was not overlooked. Had everything we needed for a relaxing stay. Chris the owner was very friendly and accommodating and gave us helpful information on arrival and departure. Chris also booked our return taxi to the airport. Everything about the stay was good. Вилла замечательная, отличная локация, полностью укомплектованная кухня, белоснежное белье и полотенца! Море в пяти минутах ходьбы. Реликтовая эвкалиптовая роща в 10—15 минутах ходьбы. Отдельно спасибо помощнице Криса Варваре. Приняла нас с настоящим русским гостеприимством! А ее кипрский кофе самый вкусный на Кипре :-)))) Варвара наша бывшая соотечественница и прекрасно говорит по-русски, что очень облегчает отдых, если не владеешь английским. Очень рекомендуем! Удобная вилла, оборудованная всем необходимым для комфортного проживания. Регулярная уборка, приветливый хозяин. Тишина и спокойствие. Lock in a great price for Chriseleni Latchi Villas – rated 9.7 by recent guests! One of our top picks in Polis Chrysochous.Located in the area of Polis Chrysochous, and a 20-minute walk from the beach of Latchi, Chriseleni Latchi offers spacious villas with a private swimming pool and garden. Chriseleni Latchi Villas consist of 2 bedrooms with attached bathroom, a fully equipped kitchen, dining area and a living room. Facilities also include a flat-screen, satellite TV, DVD player, washing machine and dishwasher. Free Wi-Fi is available throughout. Each villa opens out to a shaded, furnished patio, while sun beds and umbrellas are available on the stone-paved terrace around the pool. Private parking is provided on site free of charge. Within a 10-minute walk, you can find shops and super markets, where you can buy your daily essentials. Akamas National Park can be reached at 4.3 mi and Paphos International Airport is around 31 mi away. When would you like to stay at Chriseleni Latchi Villas? -free high-speed WiFi access via opticable cables. the property is located at no through road with views to sea and sun set the villas are totally private with walking distance of three minutes to the sea as well as to the restaurants all villas have Wi-Fi plus internet TV including English We have just returned from 2 weeks in this lovely villa. It was kept spotlessly clean and was very well equipped. Chris the owner was on hand to answer any questions we had without being intrusive. The private pool area was cleaned every day and the pool itself was very welcome on those very hot days. There was a BBQ provided which we made use of whilst watching the sunset over the mountains. The view from the villa was spectacular being able to see the mountains as well as the sea. There was a path at the side of the villa which led to the beach which was only a 10 minute stroll away. We had a car but only used it for day trips out and to get to Polis. We were able to walk into Latchi from the villa quite easily. We have been to Cyprus five times and this has been the best accommodation we've had. Hopefully we will go back. House Rules Chriseleni Latchi Villas takes special requests – add in the next step! Chriseleni Latchi Villas accepts these cards and reserves the right to temporarily hold an amount prior to arrival. Please inform Chriseleni Latchi Villas of your expected arrival time in advance. You can use the Special Requests box when booking, or contact the property directly using the contact details in your confirmation. Dangerous for small children because of pool. Not our problem! Excellent villa, lots space and light.